Times may change. Please call for updated information. 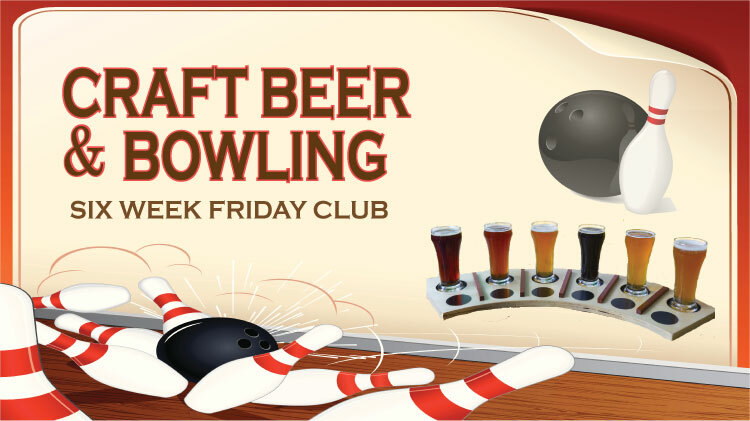 Lane availability during week nights may be limited due to Bowling League commitments. Please call the center for more information. 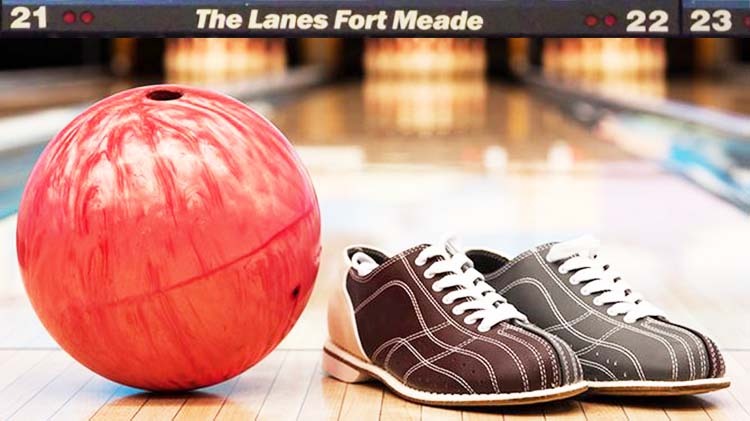 On behalf of the Installation Commander and the Director of MWR, the staff of The Lanes Fort Meade welcomes you to one of the finest bowling facilities in the military. Monday 2 p.m. - 7 p.m.
Tuesday 1 p.m. - 6 p.m.
Wednesday 2 p.m. - 7 p.m.
Times may change, please call to make sure Pro Shop is open. 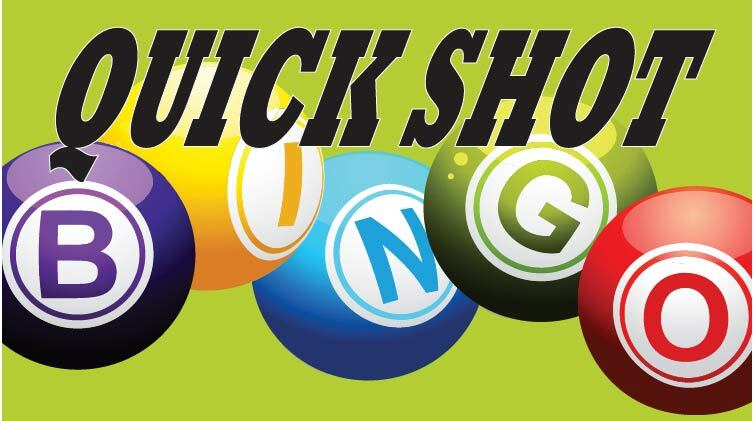 Our world class Pro Shop offers a full range of bowling equipment for the novice as well as the professional. Custom drilling and fitting coupled with our certified staff will offer you and your family a bowling experience second to none. From the shop to the lanes you are provided exceptional instructional tutoring which enables you to take your game to new heights. The Pro Shop offers a wide variety of apparel and accessories to meet your every need. Rent A Lane $18 per hour & $2 shoe rentals. Only if renting lane by the hour. 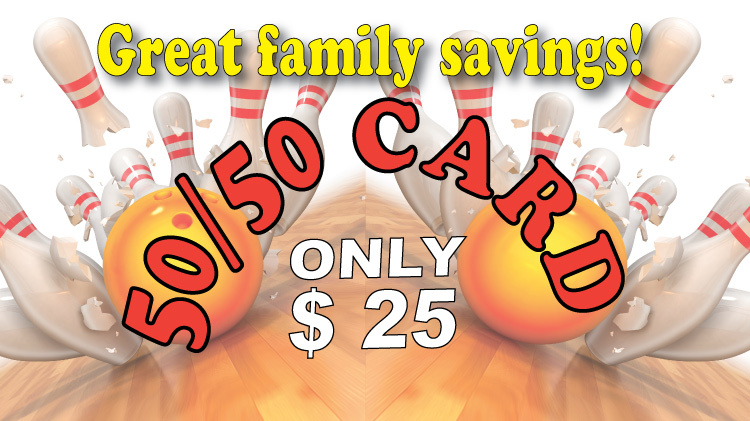 Family Special - 2 1/2 hours of unlimited bowling for up to 8 people, shoe rentals and a pitcher of soda. Add an extra pitcher of soda for $5! Pizza Bowl - 2 1/2 hours of unlimited bowling for up to 8 people, shoe rentals, one large cheese or pepperoni pizza, and a pitcher of soda. Or substitute Pizza for 20 Mild or Spicy Wing Dings. Add an extra pizza for $14! Bowlopolis Party - Let us plan, set-up and clean-up! 2 Hours of Bowling (including party time) - bumpers, rental shoes & light weight bowling balls, bowlopolis themed plates, cups & napkins. 2 large cheese or pepperoni pizzas, 2 soda pitchers (1 refill per pitcher). Food package is based on 10 guests. Food & beverage amounts can be adjusted depending on party size. 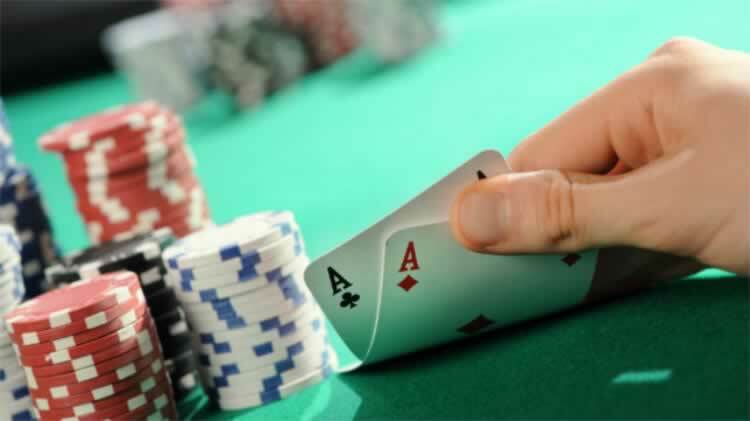 Friday, Saturday and Sunday: $15.95 per person. 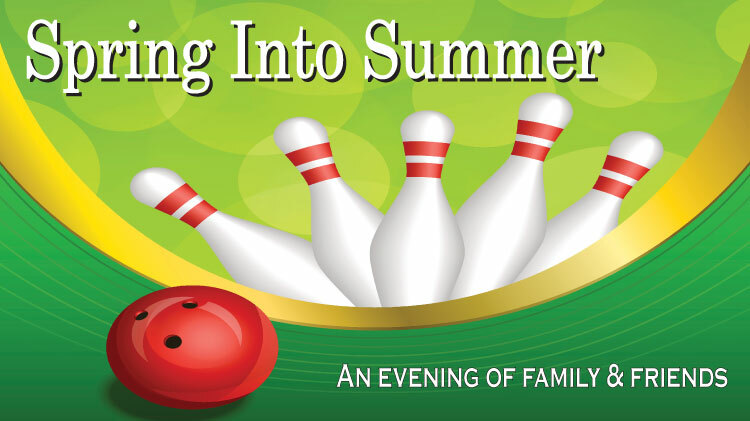 Saturday during Cosmic Bowling (after 7 p.m.): $19.95 per person. Call +1(301)677-5541 to reserve a party today! 25 wing dings (mild or spicy) and two pitchers of beverage. Dipping Sauces - Only .50¢ each! Available for wings, chicken tenders, or to enhance sandwiches or burgers! $1 each - small soda, hamburger, hot dog, pizza slice, or french fries all day. 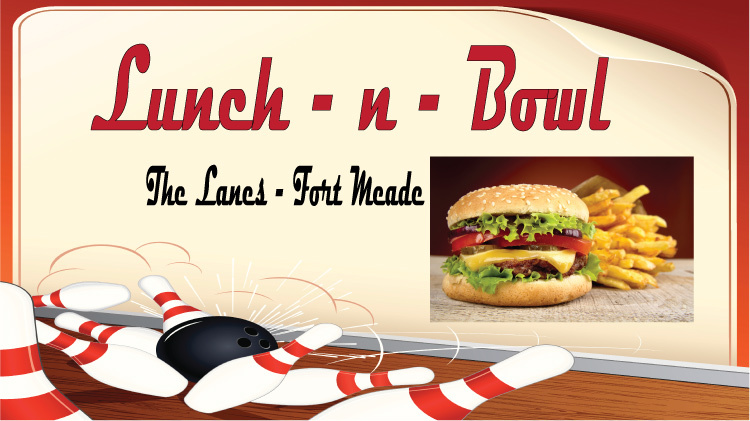 Unit Bowling for free: 11 a.m.-2 p.m. Tuesday, Wednesday, and Friday. 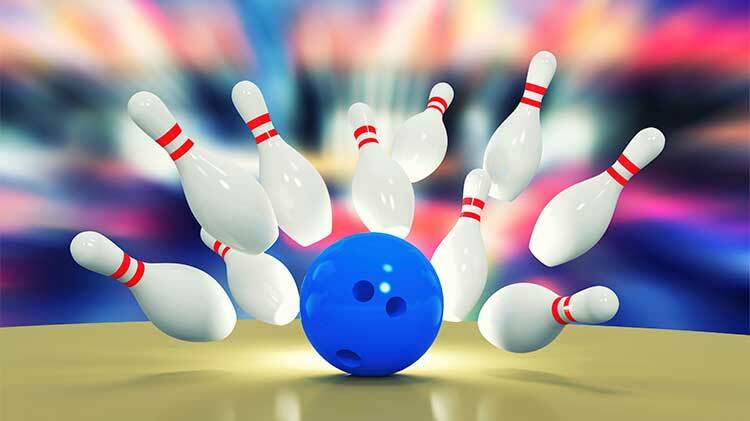 Games for Grades - Bring your report cards to The Lanes Fort Meade and we will give you 2 (two) free games for each A and 1 (one) free game for each B. Games will be rewarded for grades earned in academic and physical education classes only. 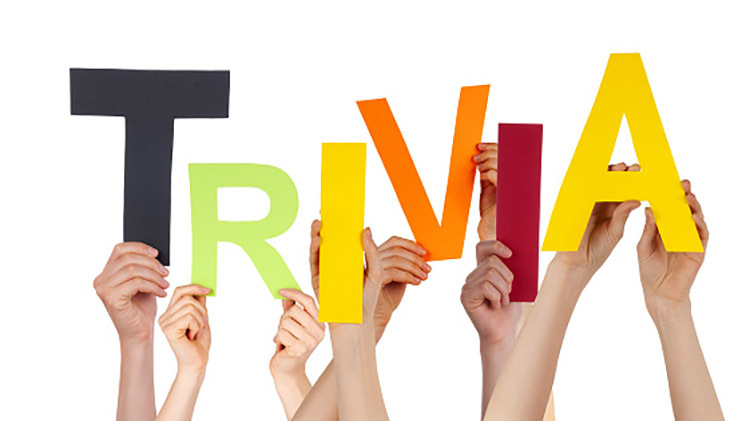 The Management of The Lanes Fort Meade has discretion regarding the awarding of all free games. One redemption per student per quarter. 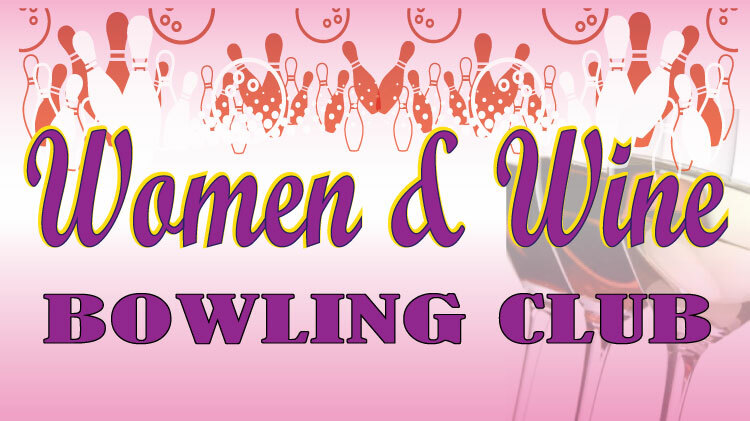 Cosmic Bowling - Every Saturday night, 7-10 p.m. Group rates available for parties with 10+ people with advance notice. See Customer Service to reserve you space! Our Fall and Winter Leagues traditionally start around the end of August and our Summer leagues start around the end of May, but you can join most leagues at any time. Fall Leagues - now forming! Senior Color Pin Fri 10 a.m. HDCP On Going 1 $8* 10 a.m.
MXD - Mixed, males and females on the same team. HDCP - Handicap, Scores are balanced by handicap so that lesser skilled bowlers have a chance against better skilled players. Sport - much tougher Lane conditions. SCR - Scratch, No handicap scores stand as they are bowled. It is a higher level of competition. MXD HDCP - Mixed Handicap, male and female bowling in a league where the scored are handicapped to even out the competition. A Post Access pass is required to be able to bowl at The Lanes. Gate Access had become easier as the Visitor Center is now open for pass pick up until 6 pm. PBA and USBC patterns will be available for practice on Saturdays. 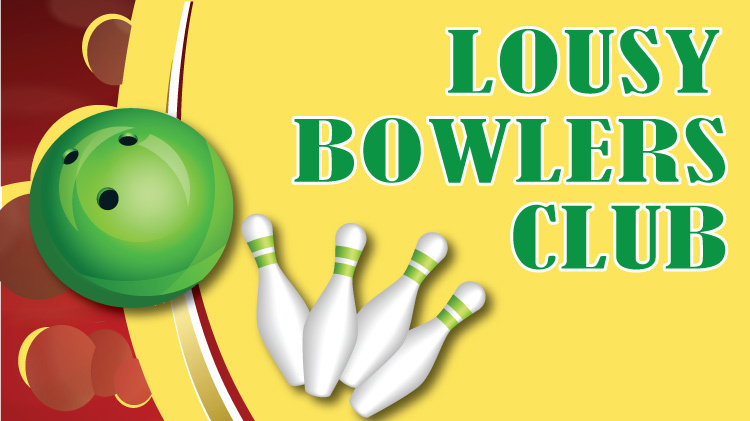 The Lanes will be closed on Sundays during the Summer.